BROWNSBURG, Ind. 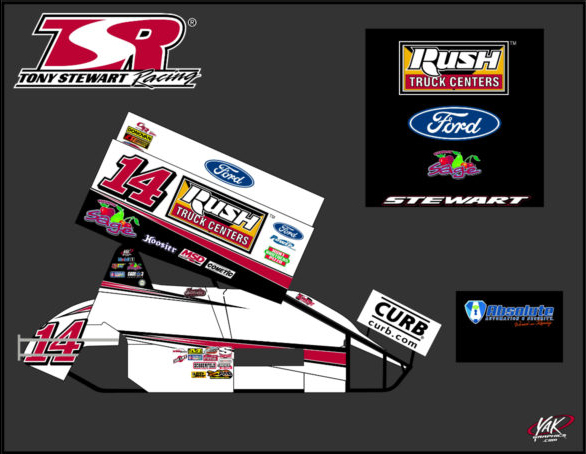 (Jan. 29, 2019) – Tony Stewart/Curb-Agajanian Racing (TSR) announced today that Rush Truck Centers, providing premier solutions for the commercial vehicle industry, and Ford Performance, responsible for the development and marketing of Ford’s racing engines and performance parts, will serve as the co-primary partners for the Sprint Car entries of 10-time World of Outlaws (WoO) NOS® Energy Drink Sprint Car Series champion Donny Schatz and Three-Time NASCAR Cup Series champion Tony Stewart. The partnership aligns Rush Truck Centers, among the most widely recognized, one-stop service and sales entities in the transportation industry with a broad network of locations with TSR. Since 1965, Rush Truck Centers has had a reputation for excellence, fairness and outstanding customer service. Offering solutions, top-quality brands, the largest network of facilities in the country and exceptional service, Rush Truck Centers values mirror those of TSR. “Rush Truck Centers is among the best in the commercial vehicle market in every aspect of their business. Whether it’s the number of locations, their commitment to using top-quality products, offering logistical friendly solutions or striving for the best in customer satisfaction, Rush Truck Centers delivers,” said Stewart. For the past two seasons, Ford Performance has been solidifying plans to develop a new 410 cubic inch Sprint Car engine that will officially make its on-track debut in 2019. Working with engine builders Andy Durham and Ron Shaver, alongside TSR’s Rick Warner, the Ford Performance team has ramped up development which saw the new powerplant’s first dyno test take place on Jan. 24. Continuing a partnership that began in 2010, motorsports icons Mike Curb and Cary Agajanian will also return as the co-entrants for the No. 14 and No. 15 teams this season. While Curb’s long tradition of motorsports involvement dates back to the early 1980s, TSR became part of their history in 2010 when Curb/Agajanian became a co-entrant on TSR’s United States Auto Club (USAC) entries. Earning USAC championships in both the Silver Crown and Sprint car series with Levi Jones, Bobby East and Bryan Clauson, Schatz carried the Curb brand to a 2012 WoO championship and a victory in the 2013 Knoxville (Iowa) Nationals before Curb/Agajanian elevated to co-entrant on the TSR No. 15 in 2014. TSR/Curb-Agajanian Racing won the 2014, 2015, 2016 and 2017 Knoxville Nationals and the last five WoO NOS® Energy Sprint Car Series championships heading into 2019. The Sage Fruit Company, a Pacific Northwest sales and marketing organization in the tree fruit industry will also return for the 2019 season as part of TSR. 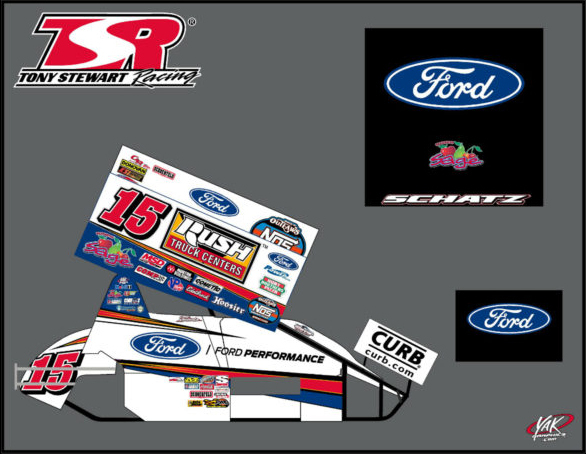 The entries of Stewart and Schatz will again carry the colorful and recognizable logo of Sage Fruit as the duo returns to racing action. The partnership includes associate sponsorship on the No. 15 driven by Schatz and the No. 14 driven by Stewart. Schatz will embark on his 23rd season competing with the WoO NOS® Energy Sprint Car Series in 2019 while Stewart is again planning to compete with various Sprint Car series across the United States. Joining TSR for it’s first season will see Florida-based Absolute Automation & Security assert its presence in motorsports. Owned by Jason Barati, Absolute Automation is based in Titusville, Fla., and has been providing state-of-the-art home automation system installation since 2001. Other services offered by Absolute Automation include whole house audio, home theater, home communications, home video, home networking, home security, and home surveillance systems. MC Power also begins its freshman campaign with TSR. Based in Lee’s Summit, Missouri, MC Power provides turn-key solar and electrical solutions to business owners and homeowners. Mobil 1 continues its partnership as the official motor oil Tony Stewart Racing. This will be Mobil 1’s ninth year as providing product, support and lubricant technology to TSR. Hunt Brothers Pizza (HBP) begins its sophomore partnership with TSR. HBP is the nation’s largest brand of made-to-order pizza in the convenience store industry. 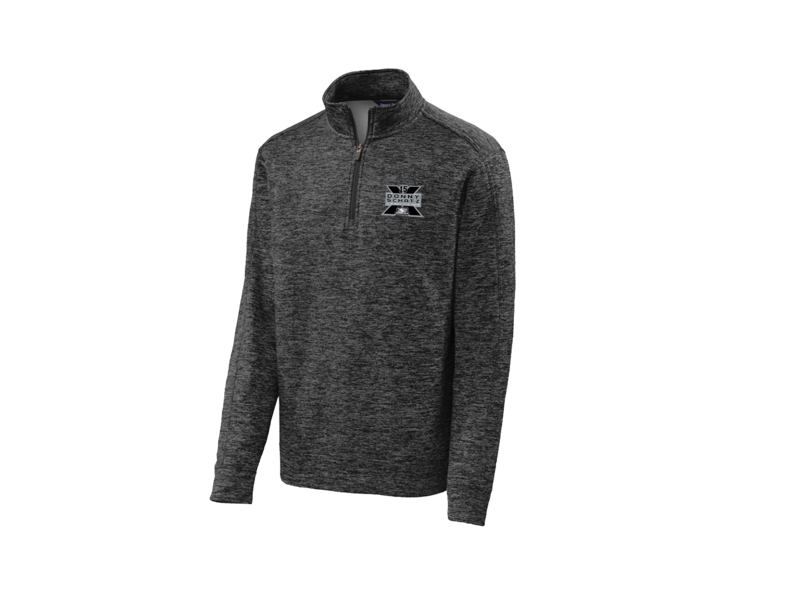 HBP is available at Eldora Speedway at all events during the 2019 season. Schatz will enter the 2019 season as a ten-time WoO Series champion. Coming off of his sixth consecutive season of 20 or more wins, Schatz is ranked third on the series’ all-time win list with 283 victories. Including the eight captured by Schatz, TSR now owns nine World of Outlaws team titles. Danny Lasoski claimed the first in 2001 with Schatz capturing the title in 2008, 2009, 2012 and 2014 – 2018. Stewart’s ownership resume also includes 14 USAC championships and four TQ titles with Ron Combs. Fans are encouraged to follow the progress of Stewart, Schatz and the Tony Stewart/Curb-Agajanian Racing teams on the Web and social media. More information can be found at www.tonystewartracing.com as well as at www.donnyschatzmotorsports.com. Tony Stewart: Facebook at www.facebook.com/TonyStewart or on Twitter @TonyStewart. 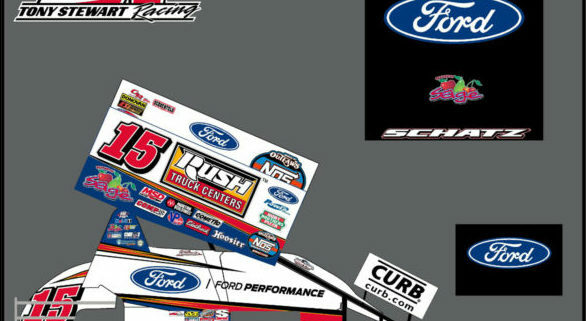 Donny Schatz: Facebook at www.facebook.com/DonnySchatz15 or on Twitter and Instagram @DonnySchatz. Rush Truck Centers: Facebook at www.facebook.com/RushTruckCenters or on Twitter @rushtruckcenter. Ford Performance: Facebook at www.facebook.com/FordPerformance or on Twitter and Instagram @FordPerformance. Curb: Facebook at www.facebook.com/CurbRecords or on Twitter and Instagram @CurbRecords. Watch Donny Schatz and Tony Stewart/Curb-Agajanian Racing live on www.dirtvision.com during each and every World of Outlaws Craftsman Sprint Car Series event of 2019.